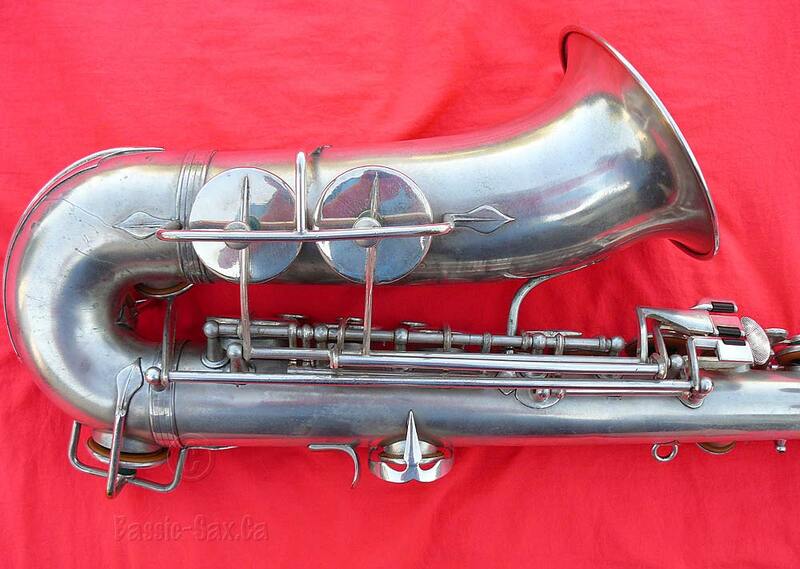 Many years ago, my dad was given an alto sax as a wall decoration. 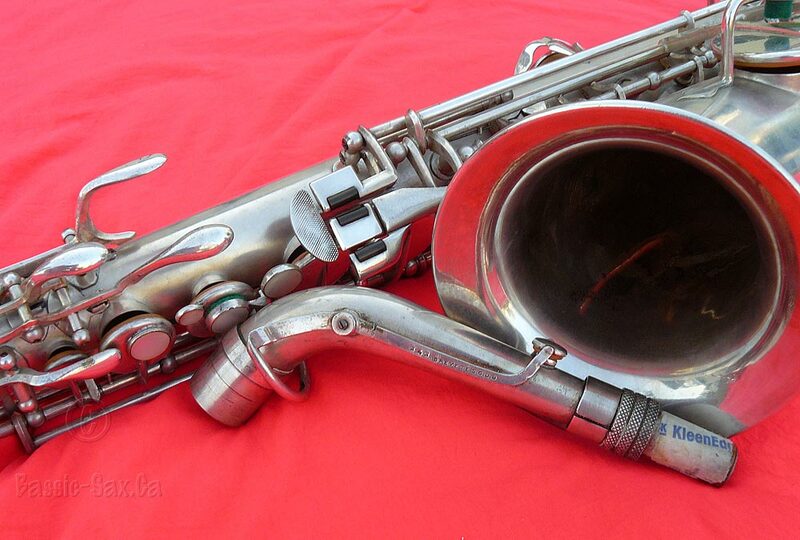 Since I was the sax player in the family, my dad gave it to me. This old horn then hung on my wall for more than 15 years. 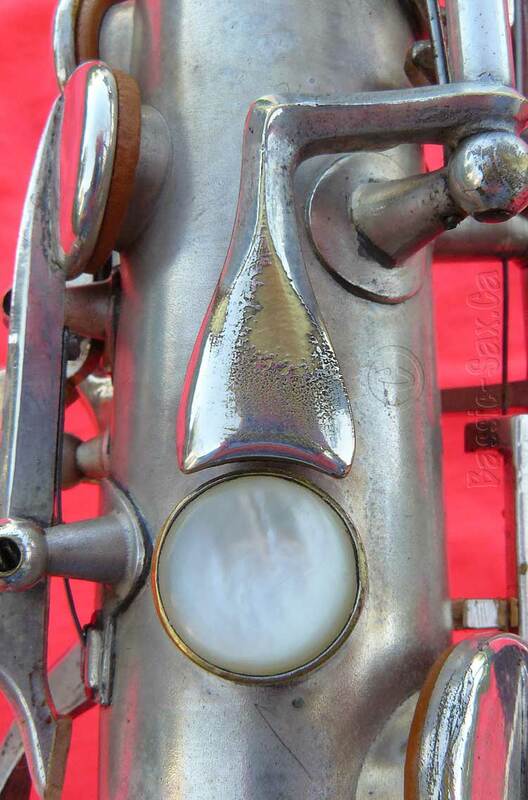 The horn was a made by Pierret: a now defunct French saxophone manufacturer. 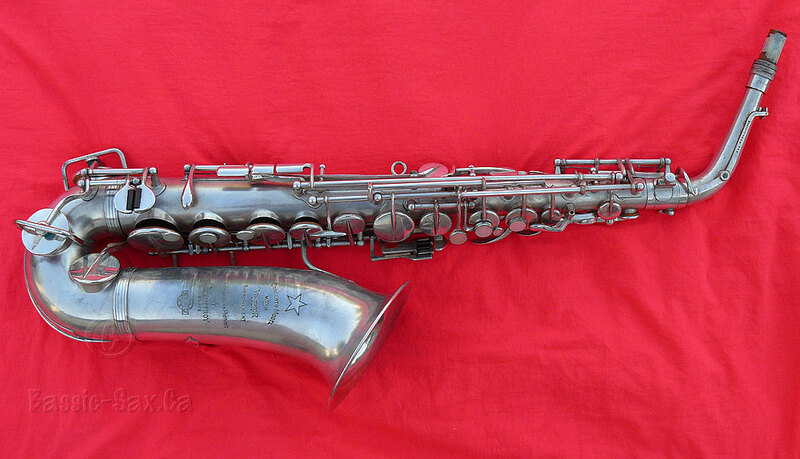 The company produced saxophones only, from 1906 until approximately 1972. This particular horn is a Concerto Model with the name C. Jeuffroy engraved on the bell as well. 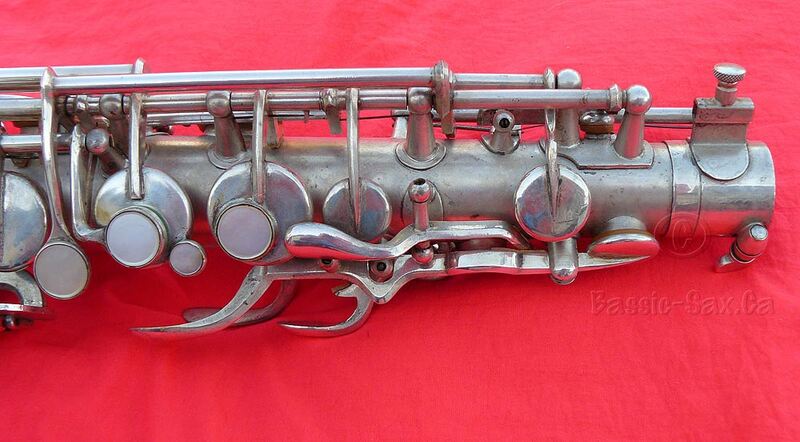 I never had any history on my instrument, and never knew anything about the brand until around 2000 when I e-mailed Pete Hales, who at the time owned the Vintage Saxophone Gallery. Pete wrote back and told me that he had very little information about the brand, but he was able to point me in the direction of some Pierret pictures on the Internet. From those pictures, it appeared that my horn had more in common with the 1920s and 1930s models than the later 1950s models. 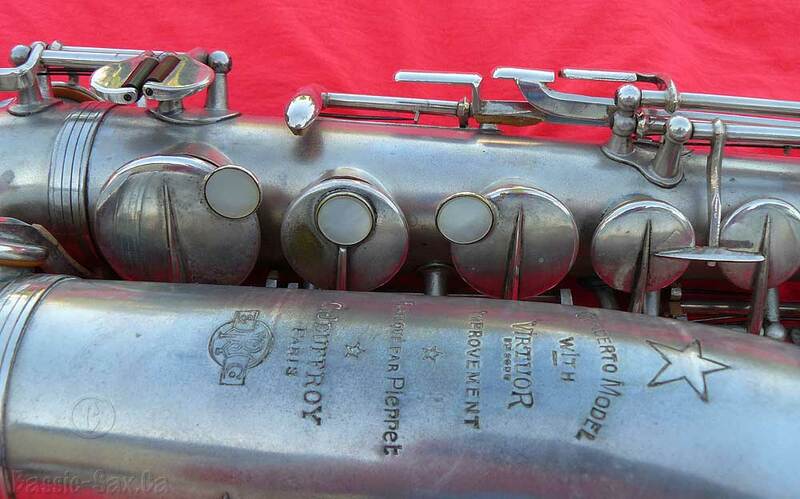 My email to Pete was the catalyst to see what he could uncover about this rather obscure brand of vintage saxophones. As he was investigating the brand name, Pete also discovered that Pierret stencils were appearing in significant numbers. L. Pierret. Introduced in 1906. Last produced in the late 195’0s or early 1960’s. 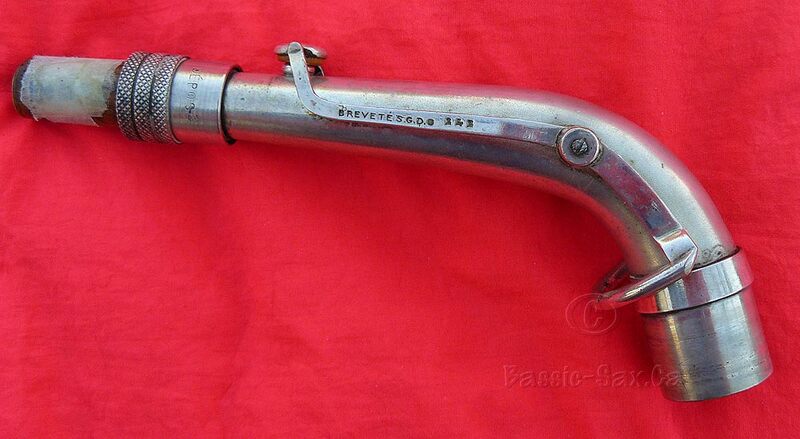 Early horns marked (English translation), “From the workers of Millereau and Besson” (Millereau was purchased by Selmer in the 1930’s. 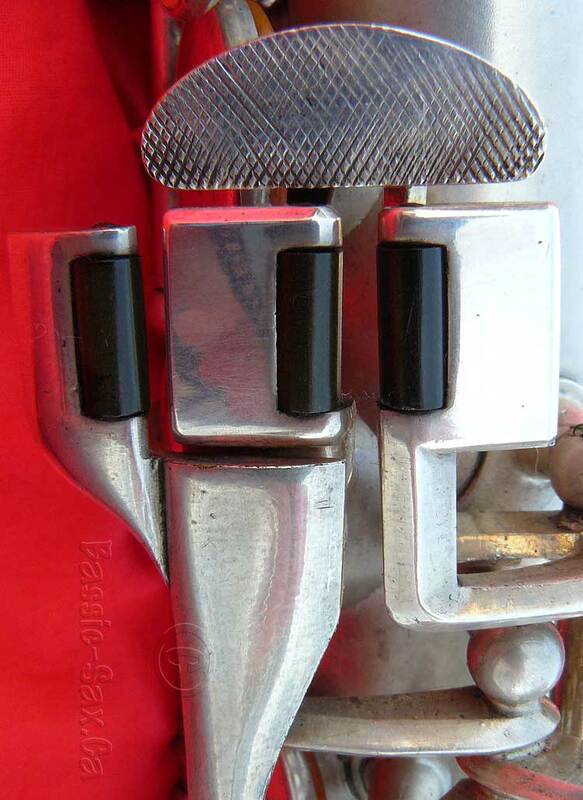 Besson was purchased by SML between 1935 and 1940). 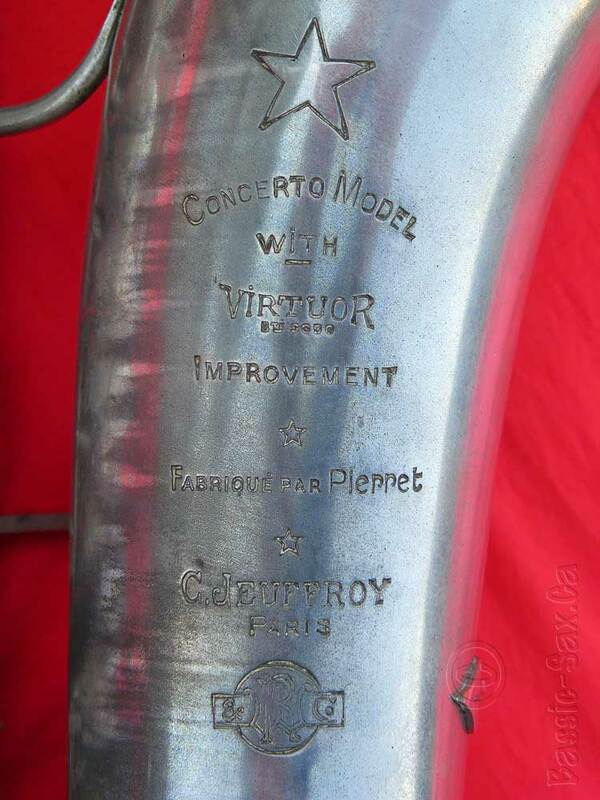 Pierret was a specialty saxophone-only manufacturer, but IMHO, their horns look like they are considerably older than other makers’ of the same era (bell to body brace, cumbersome keywork, etc.). It’s as if Pierret found one design that certain people would buy and then stuck with it, kinda like the original VW Beetle. Addresses: Paris, France. 47 Rue Piat, XXe (last known). 12 Rue Beranger on earlier horns. Pierret was a French saxophone company that made saxophones mostly for the big French orchestras. They closed down in the year 1972. I searched in, and posted to newsgroups and discussion boards trying to find more information. Everyone who got in contact with me gave me model names, but none were the same as mine. However, that changed in September 2003. A sax player from France by the name of Manuel Garcin, replied to a post I put on the Saxgourmet’s Forum. 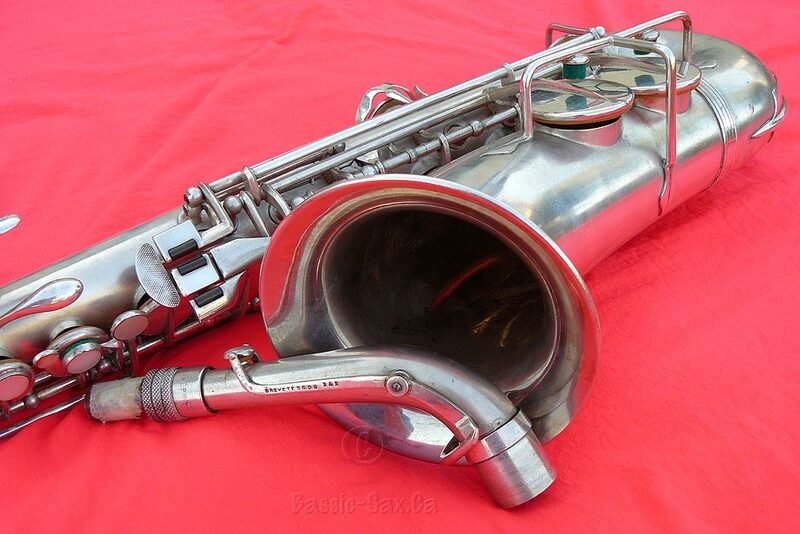 Manuel was currently in the process of writing the history of some of the less-known French saxophone manufacturers, and planned to eventually develop a specific website dedicated to these horns. One Concerto Model C. Jeuffroy, micro tuner etc. with the serial 6851. 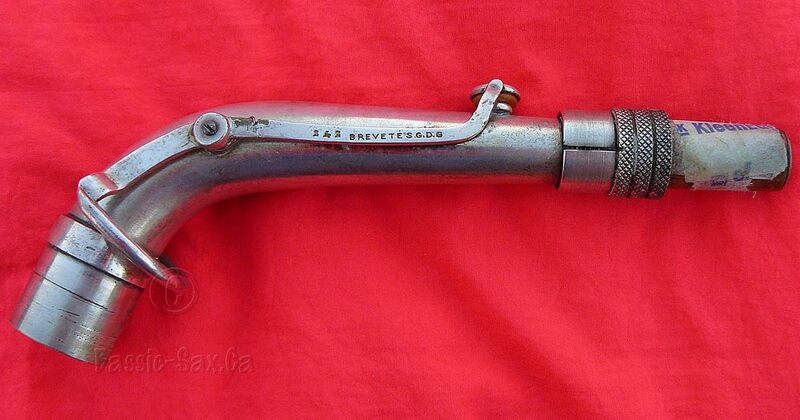 Another Virtuor Model without the C. Jeuffroy label with a SN 4783. I don’t think that your sax could be considered as a stencil as there is the Pierret label on it. C. Jeuffroy is only the name of the front store. 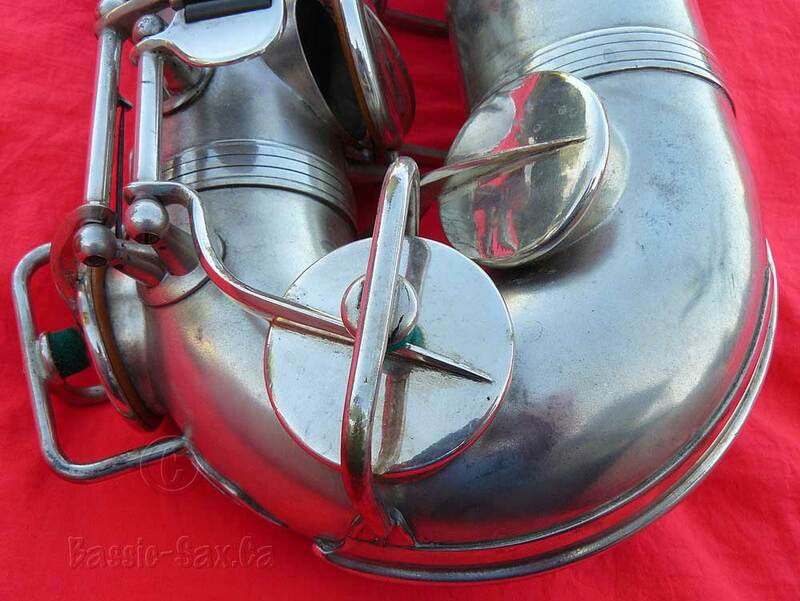 Some of these sax (Pierret) have been used by the “La garde républicaine” which is a sign a good quality and by numerous “fanfares” in France…. Some Pierret models are relatively basic others are more elaborated as one modele 7 including extra trill keys, Conn style microtuner etc… a Chu berry tardive inspiration. For some old French saxophonists Pierret was during 50 to 70 a very good brand but not all the sax of the series was good. Pierret have product a lot of stencil horn for French market (like Paul Beuscher) but more for North American market (like Olds)…. 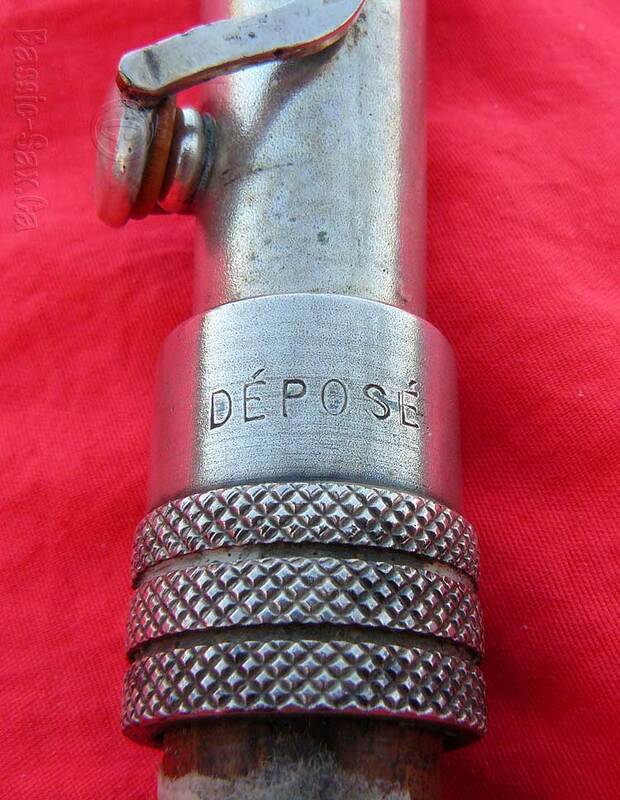 I have search and finally find that the patent of the neck octave key of your sax was deposed to the French patent service in March 1929. 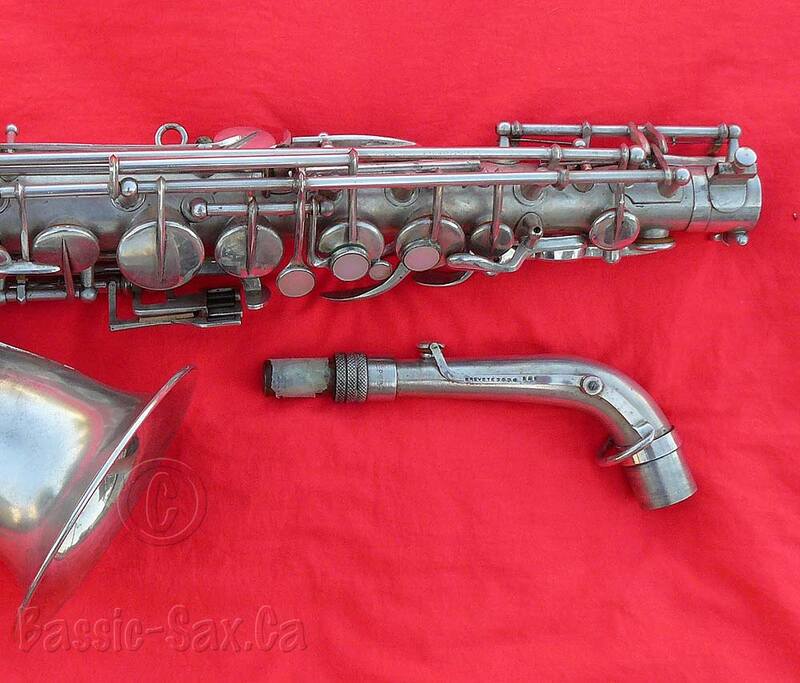 So, your sax is probably post 1929 => 30’…. 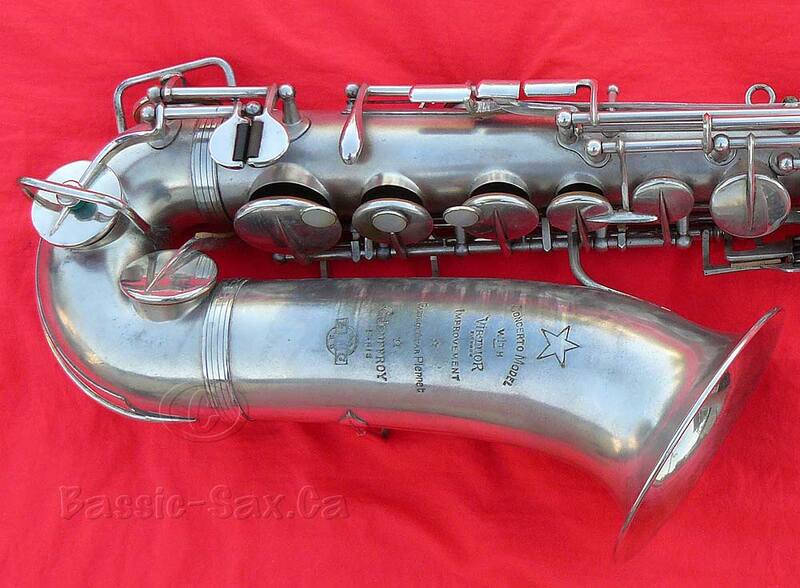 About the same sax as yours, I saw it on Ebay 2,5 year ago and the seller was… in Canada B.C ! Strange ?!! 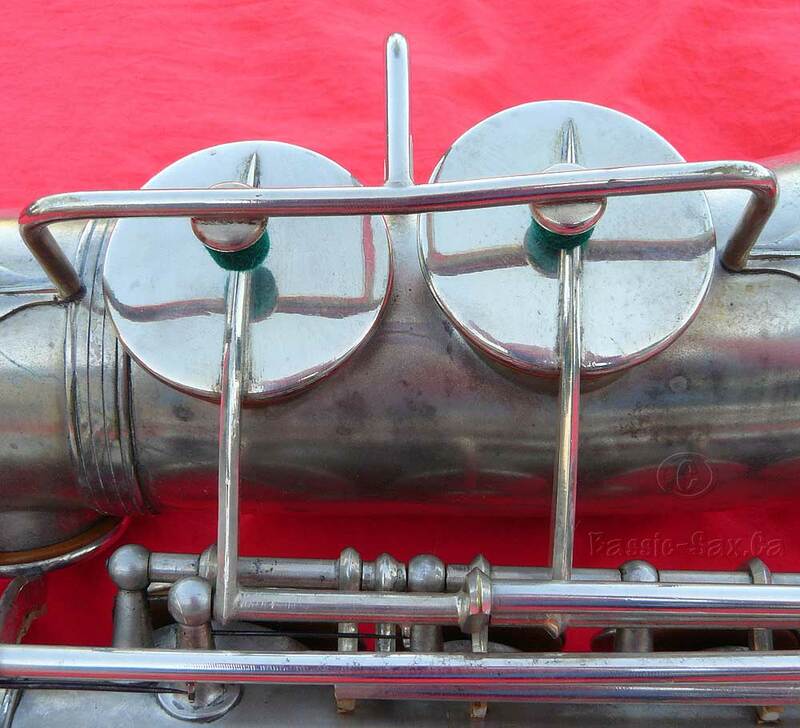 !….Perhaps someone have try importation for a Canadian music store in BC and have bought some of these horns at the C. Jeuffroy store in Paris. 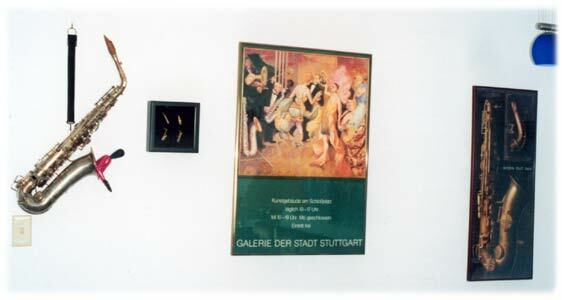 In April 2003, I decided that this old horn had been a wall ornament long enough, and deserved to be played again. Although I had no idea what it would play like, I had heard from other Pierret owners that the horns had a beautiful sound, and played well. So, I took a chance and had my horn tech restore it and get it a new case. My Runyon Custom 8 and a Fibracell 2 ½ reed seem to work very well. Intonation is okay, but this old timer takes some getting used to, and since I’m not primarily an alto player, I had my work cut out for me. The sound is very dark, and reminds me of 1930s sax recordings. 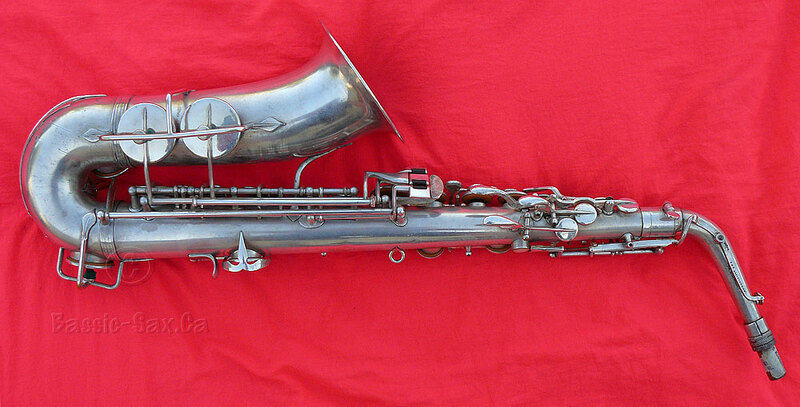 It has a beautiful tone, and my current set-up seems to work very well for reproducing the old-time jazz alto sound. If anyone has any further information about the Pierret brand in general, or this model specifically, I’d love to hear from you. Please E-mail me. 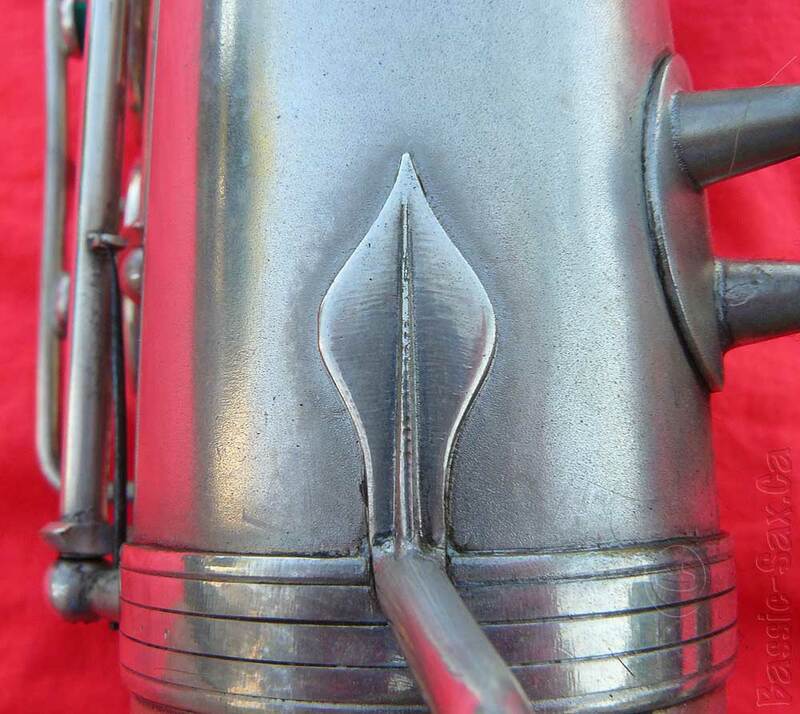 For further information & links to pictures of Pierret horns, check out the main Pierret page.